Chartered in 1936, local 1422 of the International Longshoremen’s Union constructed a new headquarters at 1142 Morrison Drive in the late 1960s. 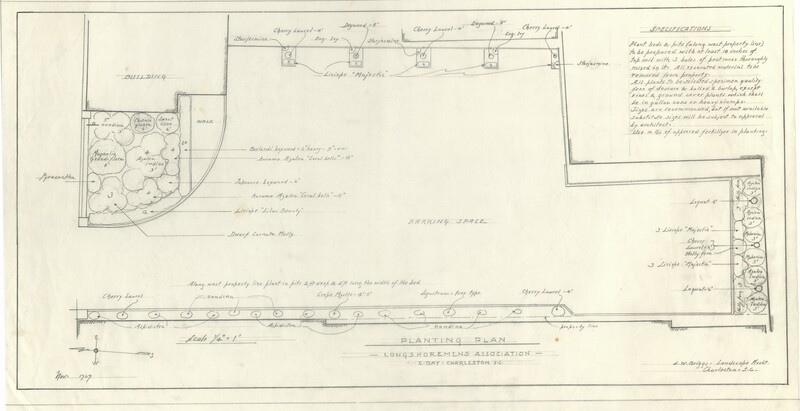 Planting Plan for the Longshoremens Association. Courtesy of The South Carolina Historical Society.